Computer driven router machine with 2440mm * 1220mm capacity. 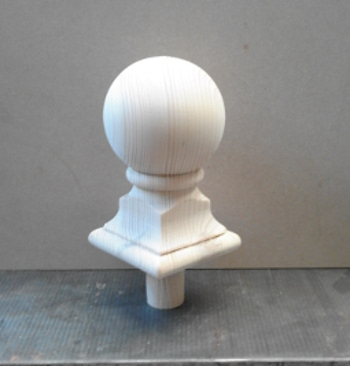 Using a combination of Woodturning and C.N.C machining he can produce some unusual and exceptional one off’s or a batch run if needed. If you want a special gift for someone and have an idea, then contact him and he can turn them into a reality. 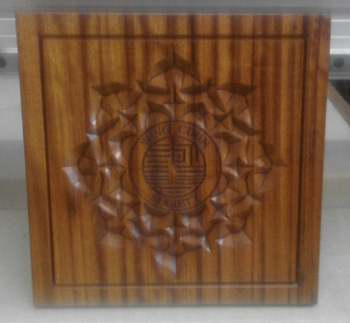 Trophies, signs, Carved, square cut parts. If you are after some components cut give Dave a ring to discuss. Below are a few pics of some of the C.n.c. work carried out. 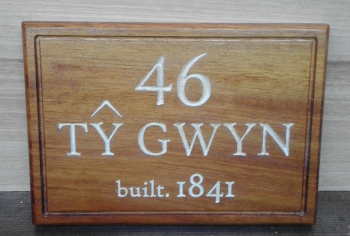 A 5th Wedding Anniversary gift. 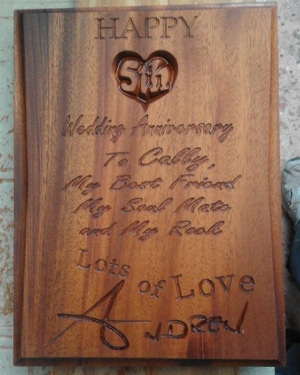 The signature is carved from Andrew's actual handwriting, to give it a more personal touch. 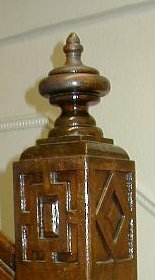 Carved design can be added to square newels. 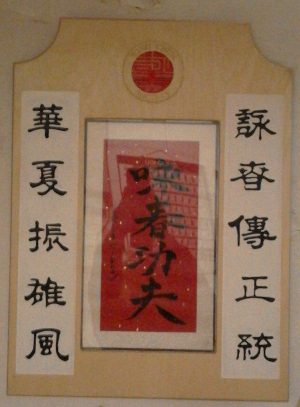 The frame was made for the red centre scroll, the black characters are raised and painted. 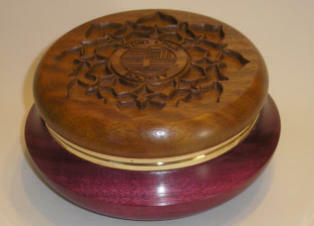 Carved lidded container, in Purpleheart wood and Teak. 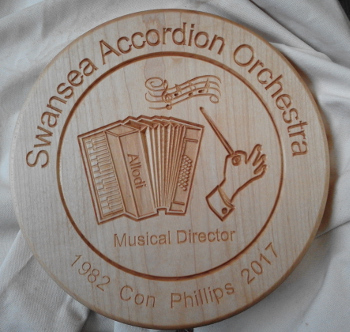 We can also engrave text to personalise existing items for special occasions, or create an item from a drawing or idea that you might have. Personalised Wing Chun Long Pole. 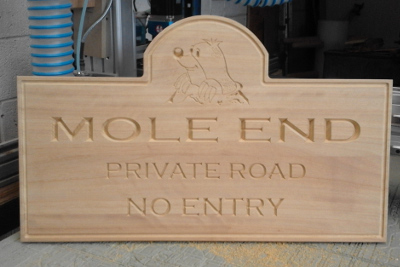 Carved letters- Price: £10.00 for up to Twenty letters then 40p per letter thereafter. 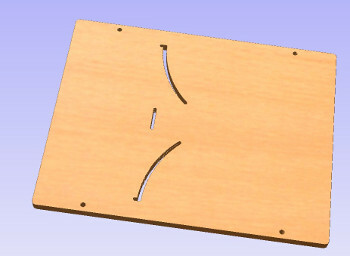 Wall Bracket Back Plates made to your dimensions.